Students are classically always skint. However, being a student doesn’t mean eating beans and staying in every night. Most student towns and cities cater well for students and there are many ways students can save money whilst still enjoying their uni years. 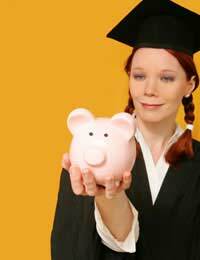 As a student make sure that you take advantage of all the financial help that’s on offer. There are funds in place to help students who may otherwise struggle for money. This help includes grants, loans, student bursaries and access to learning funds. Most students are aware of money that is available to them in the form of grants and loans. However, many students are unaware of financial help such as bursaries and access to learning funds. Bursaries: Most students whose families earn less than £25,000 a year are entitled to a bursary of between £300 and £3,000. However, as many as 20% of these eligible students don’t claim the help. Access to learning funds: Access to learning funds help students who get into money troubles while they are studying. The money you receive could be as a grant or a repayable loan. Access to Learning Funds are usually administered by the students services department at individual universities. Cook with housemates and buy in bulk. You’ll be saving far more money than if you all cook separately, or, worse, buy ready meals and takeaways. Shop with a list and stick to it and you’ll make large savings. You’ll spend a lot less money than if you shop without a plan. Hang around the supermarket near closing time. You can make large savings through discounts and reductions. Check out pound shops to save money on toiletries and household items. Buy second-hand books. You can also make some extra money by selling your old books on when you have finished with them. Look in charity shops for unique and low-cost fashion. Students can make large savings on all sorts of products and services by taking advantage of student discounts. The discounts offer money off – between 10% and 20% usually – when student identification is presented. Although many businesses have a money off discount policy for students, they don’t always advertise it so it’s always worth asking. A sure fire way of keeping spending under control as a student is to know where your money currently goes and how much money you can afford to spend. To do this you’ll need a budget. As well as helping students manage their money, a budget will highlight areas of their spending where savings can be made. You’ll find more information on budgeting elsewhere on this site in our article ‘How to Create a Budget’. Enjoy nights in with friends rather than going out all the time. Look for accommodation within walking distance of college or get a bike. Take advantage of student nights and happy hours. Learn to cook healthy, low-cost meals. Get a railcard for travelling home and to visit friends.